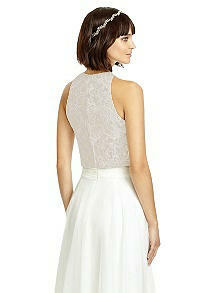 Sleeveless jewel neck cropped top features classic lace over colored lining. Available any color classic lace over any color lining. Skirt sold separately as style S2977.